The Sony DVM-63HD 63 Minute Mini DV HD Video Cassette is a high quality recording media for the consumer or prosumer HD camcorder. 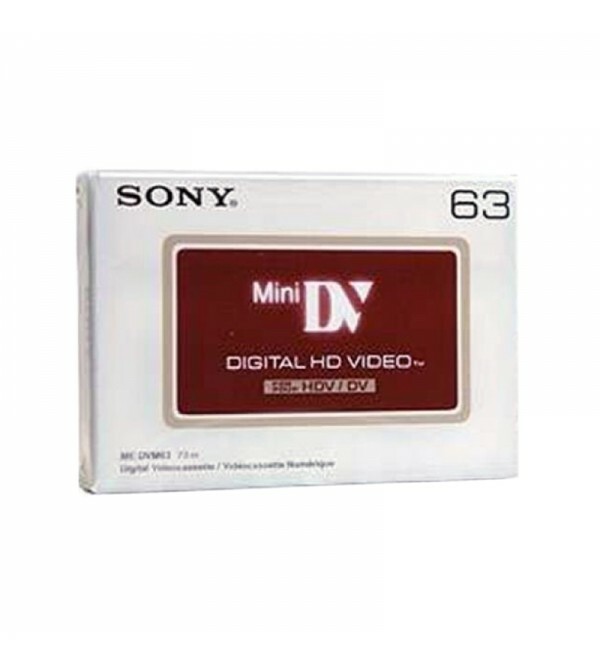 It is used for HDV camcorders with its improved image quality, and the professional 63 minute tape duration. The tape features 90% fewer errors and 50% fewer dropouts compared to DV Reference tape. The additional 3 minutes on the tape is for test recording. This helps the user calibrate the camera for best results. You can record the full 63 minutes of 1080i video. When recording in 720p HDV or in DV mode, you can record 94 min in LP and 63 min in SP setting. High definition video recording with 63 minutes recording time of 1080i video. When recording in 720p HDV or in DV mode, you can record 94 min in LP and 63 min in SP.